Heritage Hills building lot - ideal for a level-entry rancher with a walkout basement. 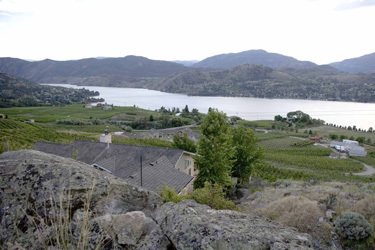 Perched above orchards and vineyards with a sweeping view over Skaha Lake to the Cascade Mountains. Located on a no-through road in a very quiet location, this is one of the few remaining lots in the original Heritage Hills subdivision.